Share marketing is a dynamic place. It keeps on changing within minutes, and it experiences what you call a business cycle, which has its own phases. Sometimes, the market tends to be in what you call ‘boom’. In the boom phase, you will see that there is an upward trend in the market, where the value of the shares increase and everything is on the rise. The other phase is known as ‘recession’. This is when everything in the market goes for a dip. The prices of the shares fall, and the general trend shows a meltdown. Inflation also rises at times during a recession phase. This is that phase which generally tends to affect the investor class a lot more than boom. A Systematic Investment Plan, better known as SIP is a systematic investment plan in which you invest in small amounts periodically so that you don’t have to invest in a single go, which involves investing a big amount. This way, you can keep investing with as little as ₹500 per month and make future gains when your investment amount increases. Also, it is very risk-free as none of your amounts is invested in the same share. Instead, it is invested in a number of different sectors to keep the risk minimum whilst not compromising on the profit part of the investment. SIP is an integral way to invest in Mutual Funds these days. Most people who invest in a SIP are small-time savers. They don’t have huge amounts to invest with, and It is something for which you do savings, and you don’t want to make a loss on it. They take a lot of cuts on their expenses to invest, and they wouldn’t do anything to hurt their finances. Just like on every other investment in the market, a recession has its effect on your periodic SIP investment too. SIP investment is ultimately investments in shares too, and they will also emulate the pattern of the whole market in terms of their value. When the market is on a downward swing, you will notice that the value of your SIP portfolio also slips down. It will show you a negative return on your investments because of the downward trend in the market. What Should One Do? Keep Investing or Stopping it? For a better understanding of this, you must understand a certain thing called ‘gestation period’. Though a biological term, it fits perfectly as far as investments are concerned. You may define a gestation period for SIP investments as the time after which your mutual funds will start paying you your returns. As talked about above, most people who invest in SIPs don’t invest big amounts as it is not possible for them to do it. Also, even if you have a lot to invest, if you go for a SIP, it means that you invest that money not in one go, but in a period of time. That makes the gestation period of a SIP quite long. For the most, it is considered that you will start getting returns on your SIP investment after a period of ten to fifteen years. Now, on the question of whether to stop investing in your SIP during a fall in the market or whether to buy more, considering that the gestation period is quite long and you aren’t investing a big amount, the best thing is to invest more in your SIP when the market is in recession. The logic behind this is simple- when the market falling, the same units which you were getting before in your periodic investment become cheaper. 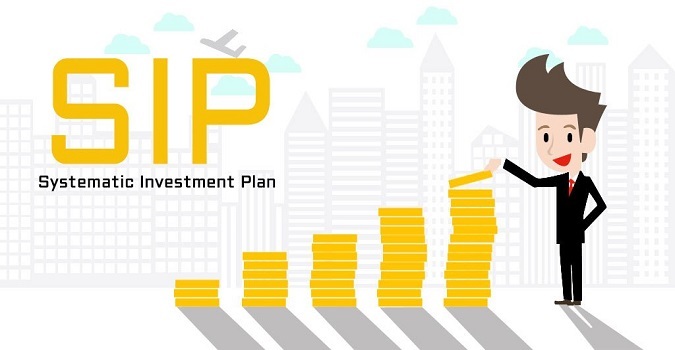 Now when you invest in your SIP, you will be getting more units at the same price, which means that you are investing at a better price, and hence you will be eligible to get a better return on your investments, which is a good thing. In such a situation, most big-time investors such as Warren Buffet tend to invest more. In fact, he had made his biggest investments in times of recession. But his philosophies are also apt on small-time investors. If you invest more in your SIP in times of recession, you are getting the shares at low prices, and you’re bound to profit when the market recovers. All in all, you will be making a bad decision if you decide to stop investing in your SIP when the market falls. Instead, try and invest more, as you will get more out of your money.